I must say, when I first heard about Windows 8, I wasn’t particularly excited. Windows 7 is leagues ahead of its predecessors and a very functional operating system, however, that’s all it is. 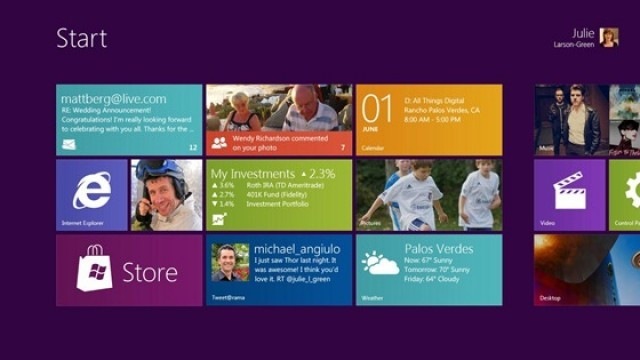 Windows 8 will change it all and so far seems to be the biggest change in Microsoft mindset in over 15 years. Microsoft has learned a lot from competitors like Apple and from the shift in the market. They have finally decided to change their strategy to meet the changing market with simplicity and polish. Windows has forever been the system for computer nerds, offering flexibility and a large number of settings. This flexibility is largely hidden for novice users and the operating system is fairly hard on those who are new to computing. Fortunately, Windows users have been able to fall back on the expertise of a wide base of users – typically friends and family to help them out. Lately, however, people have been looking for something that they can just pick up and use. Windows 8 may offer just that. The new OS is very intuitive with tabs that clearly define tasks with images to make the process simpler. Pertinent information such as updates bubble up to the surface of the OS. When operated on a touch device the experience is particularly smooth and intuitive and the user interface remains simple, uncluttered and stylish. Let’s face it, Microsoft products aren’t the snazziest around – or at least they weren’t. With this latest iteration of Windows, Microsoft has approached the interface from an entirely new angle. The new design is simple, elegant and colourful, making it fun to use. The user interface isn’t the only polished part of Windows 8. It will also benefit from extremely tight integration with applications. Expect to be able to update social networks in a variety of ways throughout the system. Many base-install apps will likely integrate with each other in unprecedented ways as well. One of the greatest mistakes Apple has made is to ignore “power users” like myself. Their products continually push the envelope on usability and design yet often neglect customization and openness. Windows 8 offers an experience for those who just want it to work (through its colourful and intuitive tabular interface) while maintaining the functionality and typical appearance of its flagship software behind the scenes; easily accessible to those who want a more typical Windows experience or flexibility. All the while, the main settings are kept in one easy to access location. I am very excited for Windows 8, as I believe it may finally offer a superior alternative to Apple products, most likely in the tablet space. Why buy a tablet that can run apps when you can buy a tablet that can run apps and all the great software you already use on a daily basis while maintaining user-friendliness and flexibility. This is a huge step in the right direction for Microsoft. Now if only they would do something about Internet Explorer . . .